What Makes Loot Drops So Fun And Exciting? Home / What Makes Loot Drops So Fun And Exciting? It might seem like a simple answer at first glance. You might assume it’s like a slot machine and it’s exciting when luck turns to your favour. But I think there’s a lot more to exactly what makes loot drop games exciting. I have played hundreds and hundreds of hours of Diablo 3 and Borderlands 2. These games have drops down to a science (although some of their rarer items are next to impossible, some even so hard to find I would wager almost no one ever finds them). 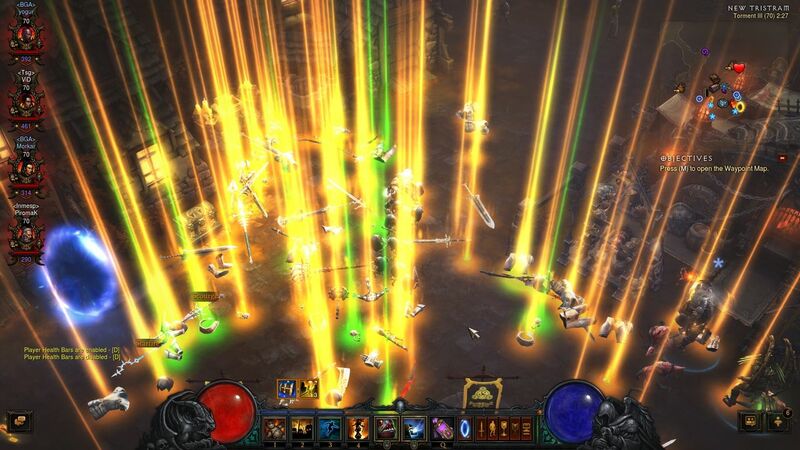 Grim Dawn and Path of Exile are also examples of games with great loot drop systems which encourage replay and item hunting. One thing I think is so exciting is getting that perfect roll of the stat you want. I think this is different than the feeling of getting the item itself. So it adds a tier of excitement to the drop itself. First there’s the item, and then there’s the stats. But further to that, if the game has randomized attributes, getting the values and the attributes adds even more of a rush. But what’s interesting to me as a designer, is sometimes these stats don’t even matter — but it was exciting for you at the time. Think about this scenario: There is a monster which has 30 hitpoints. Say your sword does 17 damage. You would kill this monster in 2 hits. Now you find a sword that does 24 damage. You still kill this monster in 2 hits. Gameplay has not changed, but you still get a rush from the stat boost. You FEEL more powerful even if it doesn’t exactly mean you actually are mechanically more powerful. I think loot drops are fun because it’s a drip of “rushes” even if they don’t pan out. The very act of finding an item can be more exciting than the actual using of an item. Of course some items you find will fundamentally change how you play and make your character better. But after a while this feeling wears off but often the rush of finding better loot does not. I think what makes loot games so powerful is that the finding of the item itself is often more exciting than using it. I'm the guy making Grrbls.